The McKenzie Method was developed by the late expert physiotherapist Robin McKenzie in the 1950’s as a way to treat low back pain. It has since expanded to treatment of the entire body. It is a comprehensive evaluation of patients without using diagnostic imaging such as X-rays and MRIs. The focus is to find motions and positions to allow for the body to repair itself without the use of more invasive techniques such as surgery, medication, heat or ultrasound. The McKenzie Method is also known as MDT, or Mechanical Diagnosis Therapy, and emphasizes primarily self-treatment techniques.With the McKenzie Method, patients will learn how to manage their symptoms, understand certain pain problems, and reduce the need for medical intervention. The McKenzie Method educates patients on how to handle their symptoms more independently and effectively. When treated with the McKenzie Method, we start by asking you about the behavior of your symptoms. We also study your body in certain movements and resting positions to determine how the body reacts. Our emphasis is on repeated movements and sustained postures in order to see how your symptoms change in different positions and repetitions of movement. We can then categorize your problem based on our assessment. The McKenzie Method categorizes patients using three syndromes: Derangement, Dysfunction and Posture. Once your symptoms are understood and your classification is established, your clinician can then prescribe what specific exercises and postures you should adopt, and which ones you should avoid. You may undergo gentle hands-on techniques, depending on the difficulty of the mechanical presentation. The focus is on helping you to heal and treat yourself, and be an active participant in the process. This education lets you avoid the problem from reoccurring, as well as help you treat symptoms if they do reoccur later on. The accuracy of the McKenzie Method comes from understanding a patient’s presentation of and behavior of symptoms. Studies show that the assessment method is comparable to using CT scans and other diagnostic tools, plus it can be more effective when distinguishing painful from non-painful discs than a MRI. With the McKenzie Method, you can get an accurate diagnosis that addresses the cause of your pain, and how it occurred. Studies of the effectiveness of the McKenzie Method have revealed it to provide better results for treating low back pain and other injuries. A randomized study in the Journal of Athletic Training found that the McKenzie Method was more effective in short-term pain relief than other therapies, and that those participating in the McKenzie treatment group had fewer healthcare visits, work absences, and less pain and disability after 12 months. Individuals who suffer from pain and issues in the back, neck and extremities can find relief with the McKenzie Method. The approach is also useful for sciatica, sacroiliac joint pain, degenerative disc diseases, muscle spasms, arthritis, and numbness in the hands or feet. If you’ve been struggling with severe pain that limits your ability to work and do things you enjoy, you may benefit from MDT. It’s a proven method in controlling pain and stiffness, without forcing you to rely on expensive treatment options such as surgery, specialized equipment or painful injections. 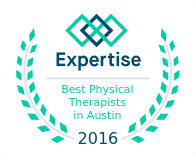 Take charge of your pain and take back your life with the McKenzie Method at Mondo Sports Therapy in Austin, Texas. 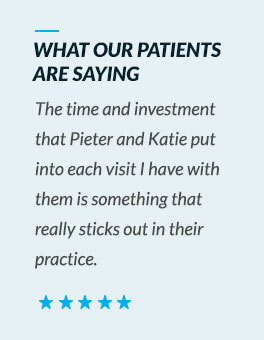 For more information on how we use McKenzie Method, please schedule an appointment or contact us.